Top Indiana Pests to Look Out For - Yes Pest Pros, Inc. Top Indiana Pests to Look Out For - Yes Pest Pros, Inc.
Termites are a problem in a lot of places here in Indiana. From Bloomington to Elkhart you’ll find as many trees and old barns as you will open farmland. Termites love dead wood because it gives them a great place to live and thrive. Sometimes if they’re close enough, they’ll decide to move into the wood in your home. This is especially true if you have firewood near your home, places where soil meets wood near your foundations, and plenty of hidden areas that give termites a place to burrow and remain safe from predators. These creepy-crawlies are everywhere in Indiana. While in some ways we can count ourselves lucky in that cockroaches don’t do some of the damage that many other pests can, their sheer numbers can be overwhelming as well as disturbing, not to mention their ability to spread disease. There’s nothing as startling as discovering a mess of roaches in your kitchen beneath the sink, or running around in the bathroom. They like moist places and will quickly grow in numbers if given the chance. They can live practically everywhere. It doesn’t matter if you’re out in the country or in the city – cockroaches will happily move in wherever they can. Even more frustrating is that you may not know you have a problem until their numbers are very large. Frustratingly enough, while spiders have their uses in eating other pests, the problem is that they can leave behind webs and the husks of dead insects, as well as the issue of several spiders in Indiana being poisonous. Spiders will move in either by accident or by simply following their food. While there are plenty of spiders that aren’t dangerous to humans, there are a handful that you want to steer clear of completely. This includes the black widow and brown recluse. There are plenty of other pests in Indiana that no one wants to be around, from fleas to earwigs, and no matter what the pest may be, you don’t have to live with it. 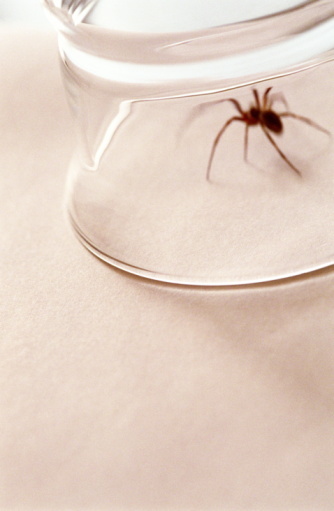 Call in a professional pest control service like Young Environmental Solutions and get them out of your home. Technicians can also help point out places where pests may be getting in or what is drawing them to your home in the first place. With the right protection and precautions, you can keep a pest-free home from both the minimal, mildly annoying pests to the worst pests in Indiana.